There are a variety of city resources that may be loaned or rented out to the community. Such items may include potted plants or bleachers for an upcoming event. For more information, please call Parks at 204-729-2148. To request the use of city resources, fill out the Services Request form (67 KB) and return to the Operational Services department as listed on the form. The City of Brandon does not require the public to book parks for use; however, if you do have a large gathering (wedding, company picnic) we ask that you let us know so that there are no conflicting events taking place in the park. If your group plans on selling something at the park (hot dogs, t-shirts, etc.) or on having alcohol present, a Save Harmless Agreement must be signed. If you are planning to have liquor in the park, a Provincial Liquor Licence must also be obtained. For booking information on all public parks, please call 204-729-2150. The Joint Use of School Agreement is a booking arrangement between the City of Brandon and the Brandon School Division (BSD) wherein the City acts as booking agent for all BSD facilities. If you are interested in using any Brandon School Division facility (ie. gymnasium, classroom, soccer field, ball diamond, etc.) please contact 204-729-2150. The Civic Administration Building (City Hall, located at 410 – 9th Street) allows the rental of its foyer for private use including; weddings, public events, ceremonies or conferences. A variety of equipment and amenities are available for use through the booking process. For all event bookings, a Save Harmless Agreement must be entered into and rental fees may apply. 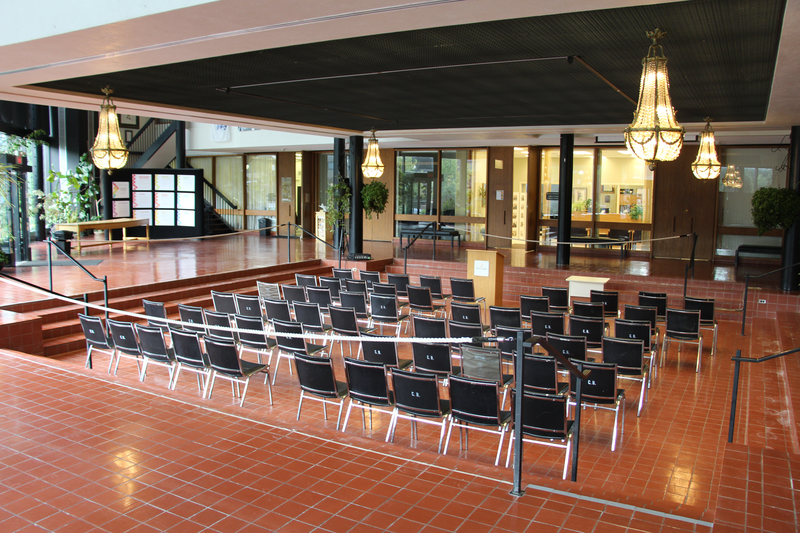 Please refer to the City Hall Foyer Rental page for more information and related documents.